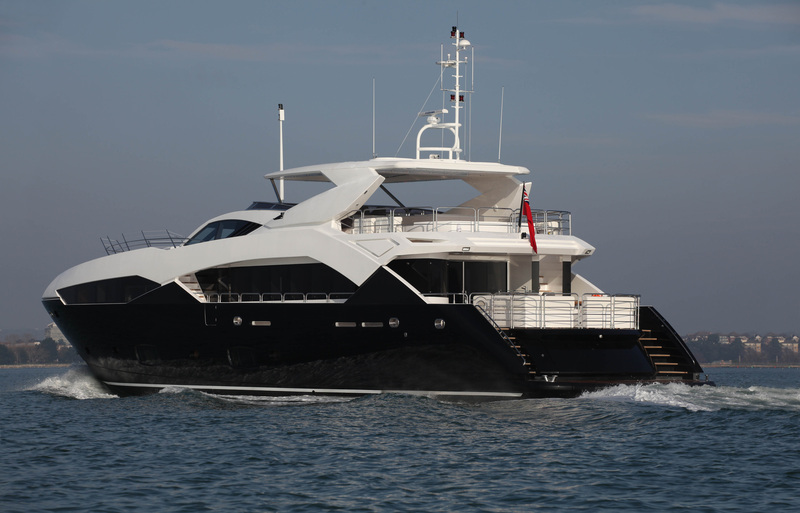 Expansive aft cockpit, flybridge and foredeck social areas provide endless entertainment opportunities, while for relaxation, the spacious flybridge features a large sunpad including spa tub, a large wet bar with stools, as well as generous seating area and tables for that perfect alfresco dining experience. 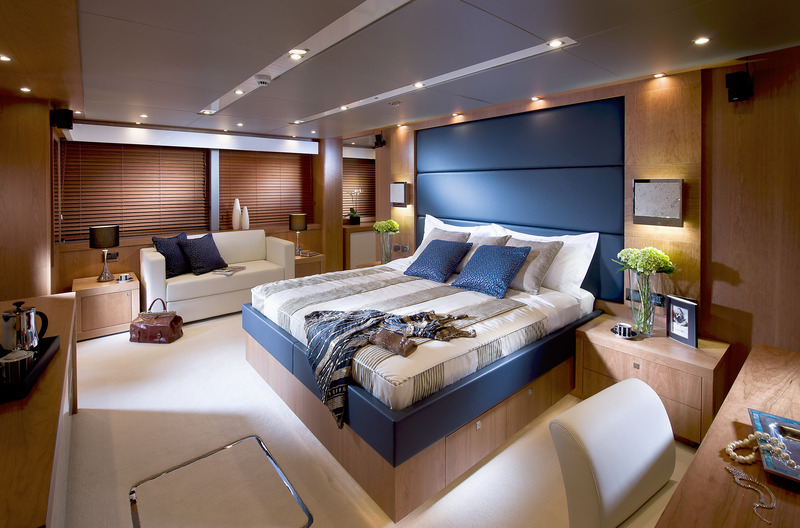 By specifying the optional hard top, which supplies shade in the sun and beautiful down lighting for evening use, this area can be enjoyed at any time of the day. 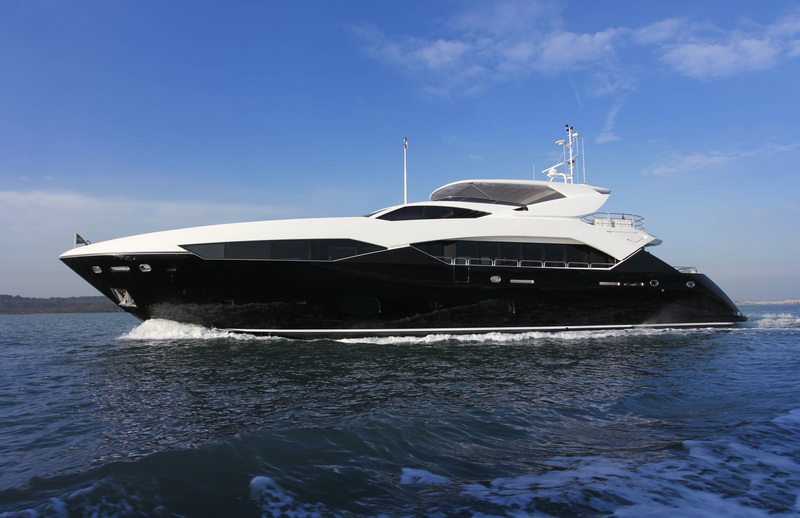 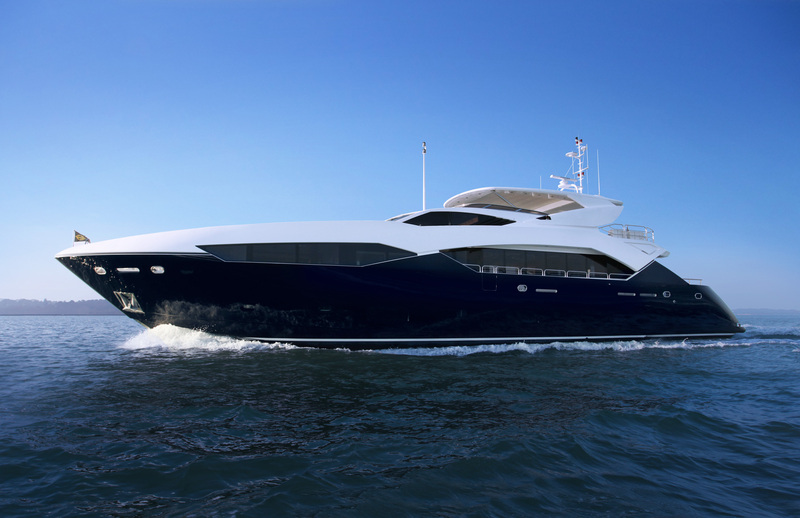 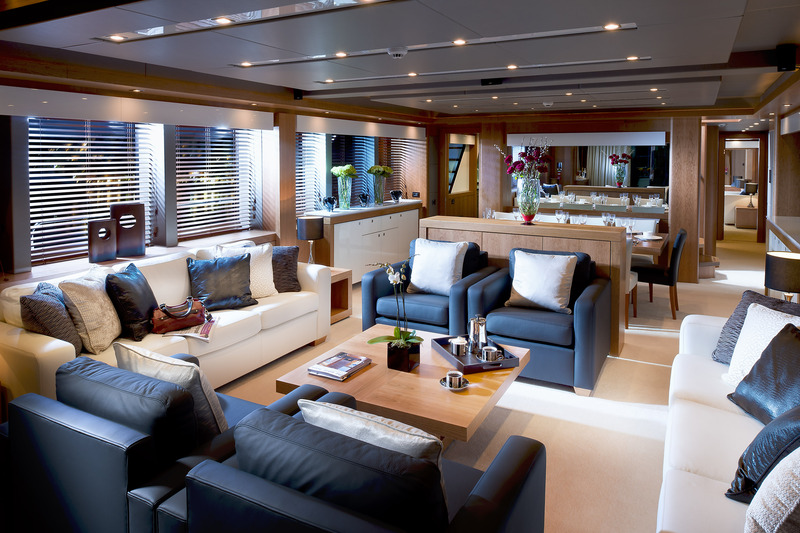 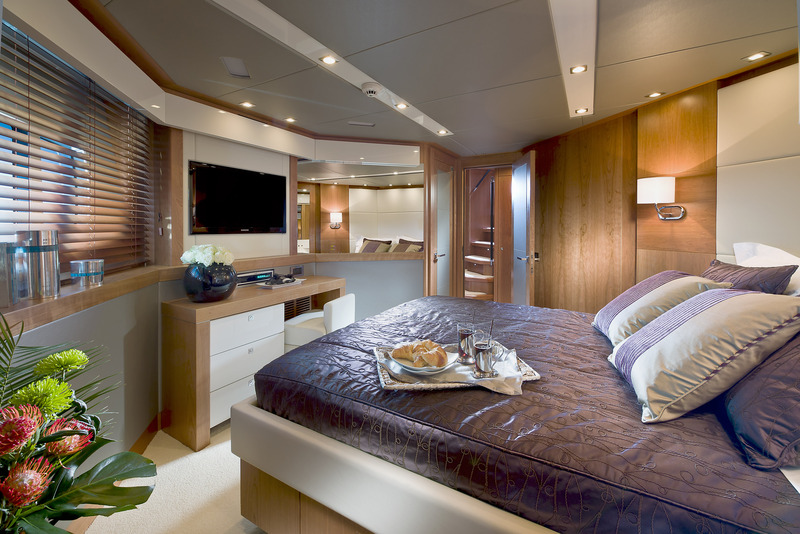 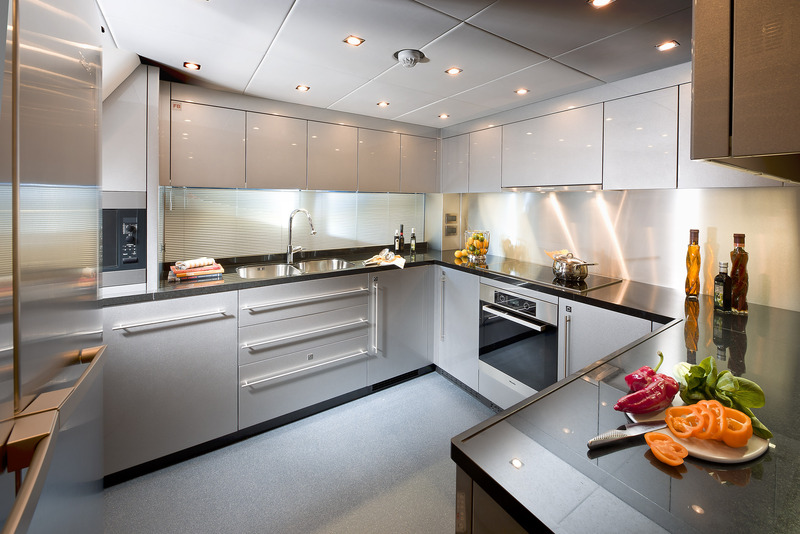 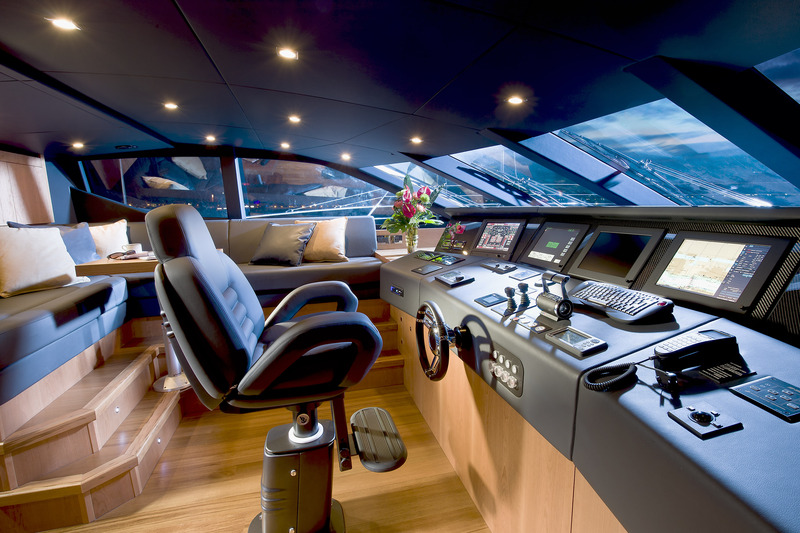 The full beam master stateroom is a stunning feature, more often seen on yachts much larger in size. 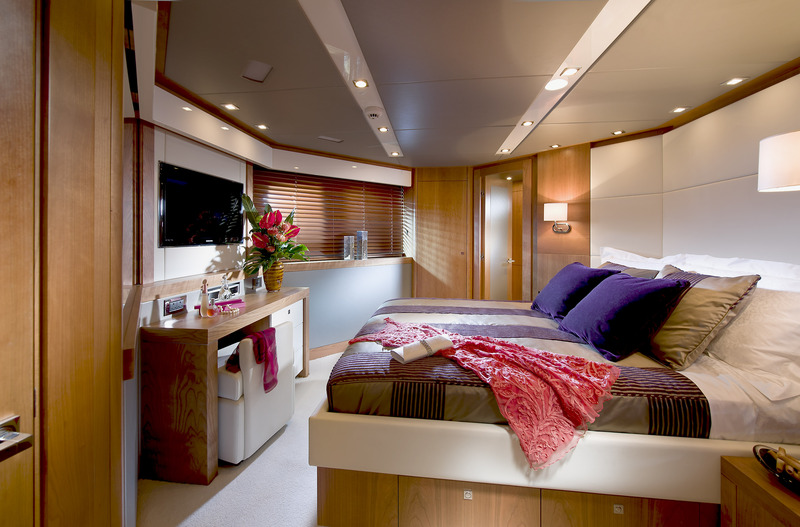 Thanks to its considered layout, the owner enjoys maximum space and privacy. 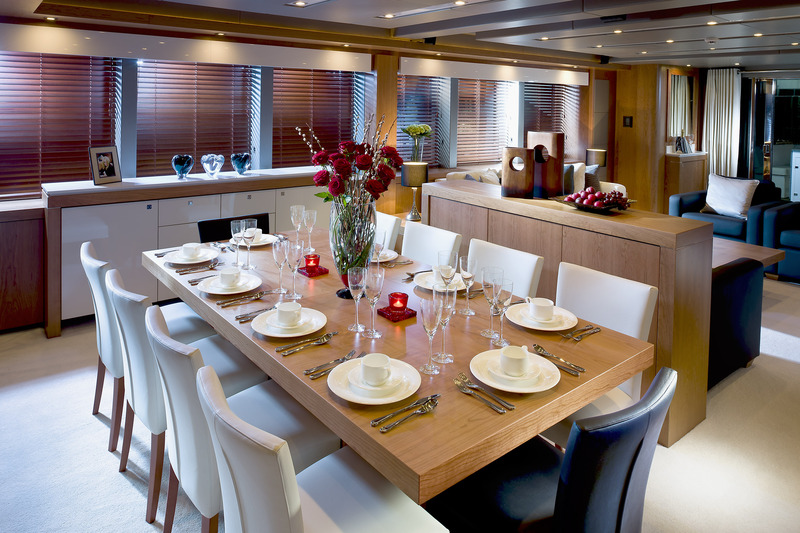 A further four guest cabins are incorporated on the lower deck – two doubles and two twins, each featuring the large panoramic trademark ‘organic’ portlights which provide a wealth of natural light. 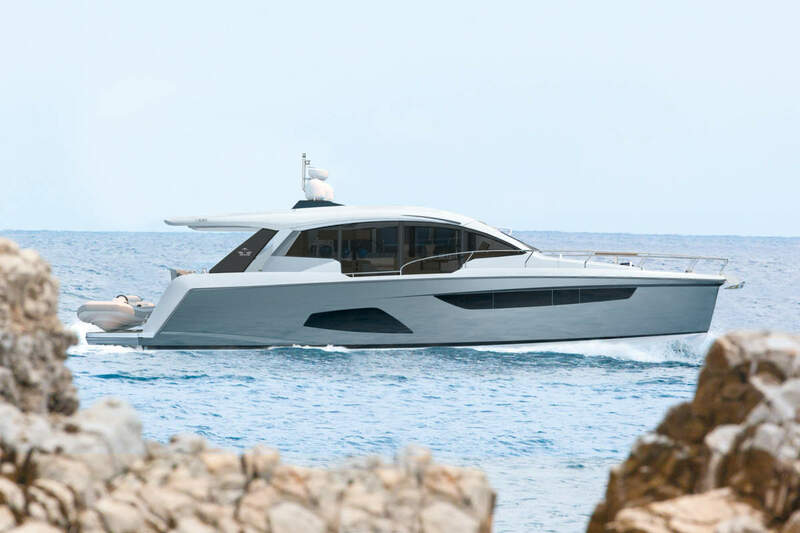 With several Predator 115s in production and orders already confirmed well into 2012 and beyond, the success of this exciting new model is already guaranteed and continues the impressive growth of the Predator range.